Tannery and supplier of leather goods for furniture and fashion goods production such as stationery and bags. To step up as a one of the leaders in global leather industry. Received various certifications from institutions in Thailand and from aboard. Export hides for furniture manufacturing to major markets such as United States and Europe. Very significant to the business. It is considered as a ticket to the global leather trade and make the company gain further confidence and pride. Our products are certified by various national and international institutions, and provide the best satisfaction for the customers. Originally founded in 1980, Kongsiri Tannery slowly built up a strong and stable foundation and successfully stepped up as one of the leading manufacturers and suppliers of the leathergoods with the slogan, “We make it better than Nature”. Kongsiri Tannery also has major buyers from many countries. For nearly 40 years, Kongsiri Tannery has proven that it is a true gem of leather production and distribution. The main focus of the company is tanning cowhide and buffalo leather. All hides are carefully selected from local and global sources before being tanned through a certified procedure endorsed by various reliable institutions including ISO9001:2008 and Customs Department’s AEO Certification. Every process is well-thought-out: from selection of appropriate tanning acids and translucent dyes to reveal the original leather’s texture. When combined with the craftsmanship of the manufacturing team, Kongsiri Tannery’s products are made with beauty, durability, and uniqueness. Apply new innovations to the manufacturing process and combine it with the craftsmanship of a highly experienced team that has a true understanding of the nature of every type of hide – the quality of every single product is paramount. Together with unique natural characteristics, Kongsiri Tannery’s leathergoods have extensively been the consumer’s first choice, and has built a long-term positive relationship with customers in the US and in new markets such as Europe and Japan. Beside quality that must come first, providing customer services with integrity is also the company's most important business ethic. Making promises with the customer means Kongsiri Tannery’s must have great responsibility to deliver the best satisfaction possible. Although partners in the major furniture and fashion industries such as the US and parts of Europe are now relying on Kongsiri Tannery, the company views this trust as a first step toward a greater achievements. 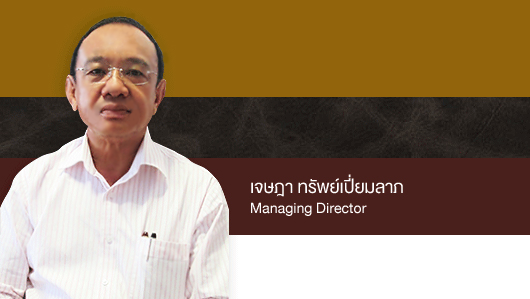 A future business goal is to seek opportunities for Kongsiri Tannery to be more recognized in the market. The company aims to in-crease its productivity by 20% in order to gain global market share, as well as invest in technology and new pro-duction methods in order to develop goods that satisfy a wider range of the customers’ needs. Words can never replace physical proof. 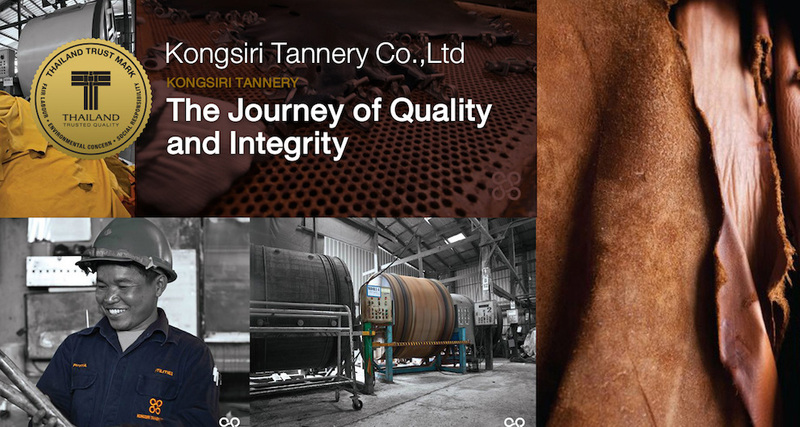 Kongsiri Tannery received many guarantees and certifications, including the Thailand Trust Mark which helps build consumer trust in the product. 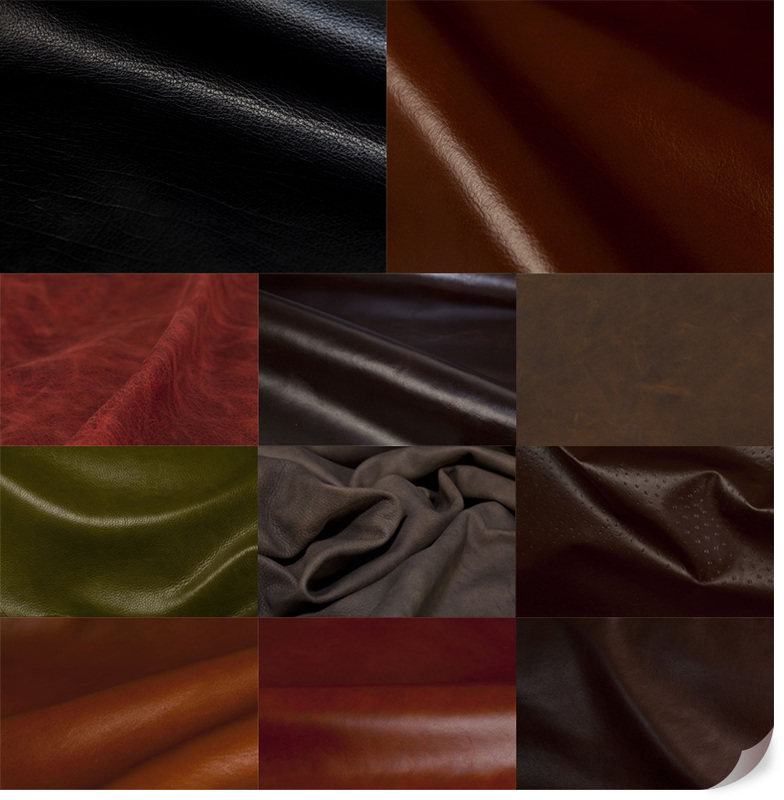 It is considered as a ticket to the global leather trade and makes the company gain further confidence and pride.